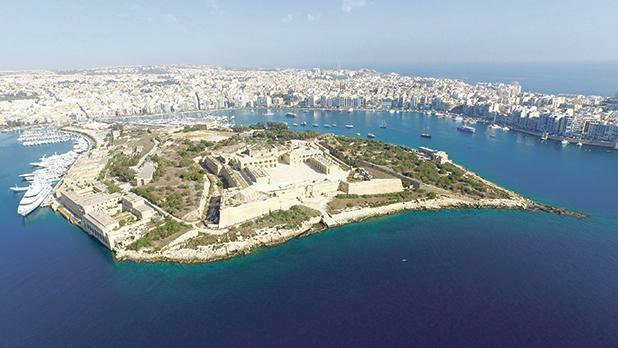 The Malta Financial Services Authority is asking the Times of Malta to disclose “the source/s of the information contained” in a report on the planned takeover of the Manoel Island project. The request was made in a letter dated November 2 and signed by the deputy head, Lorraine Vella, and the senior manager, Nathan Fenech, of the MFSA’s Securities and Markets Supervision Unit. The report in question was carried on October 9 and titled ‘Preliminary deal struck for Tumas Group to take over Manoel Island project’. The MFSA first communicated with Times of Malta about the matter on October 22 noting that while the heading of the news item implied the deal had been agreed upon, Midi plc issued a company announcement saying no preliminary agreement had been reached and that talks were ongoing. Ms Vella and Mr Fenech asked Times of Malta “to provide the authority with justifications relating to the publication of the media report”. Times of Malta’s legal adviser replied, pointing out that, as a public watchdog, the independent press had not only the right but also the duty to report on matters of public interest. The MFSA was requested to refrain from any further action it might be considering taking against the Times of Malta. The regulator wrote back on November 2 saying the purpose of its original correspondence was for the newspaper “to provide justifications and, hence, disclose the ‘sources close to the project’” mentioned in the news item. “May we remind you that in terms of Article 15 of the Prevention of Financial Markets Abuse Act, Chapter 476 of the Laws of Malta, the MFSA, as the designated competent authority, has the power to demand information in any form whatsoever in order to perform its function of monitoring financial market abuse,” the financial services watchdog said. It “requested” the Times of Malta “to provide the authority with the source/s of the information contained in the media report”. The newspaper’s legal adviser replied, noting that, according to the Media and Defamation Act, an editor, author or publisher cannot be required to disclose the source of information unless by a “court or tribunal established by law” and only if the court or tribunal feel that such disclosure is in the interests of national security, territorial integrity, public safety or for the prevention of disorder or crime or the protection of the interest of justice. The MFSA was asked to confirm, by not later than November 6, at close of business, it would not be proceeding any further with its request. No reaction has been forthcoming since.